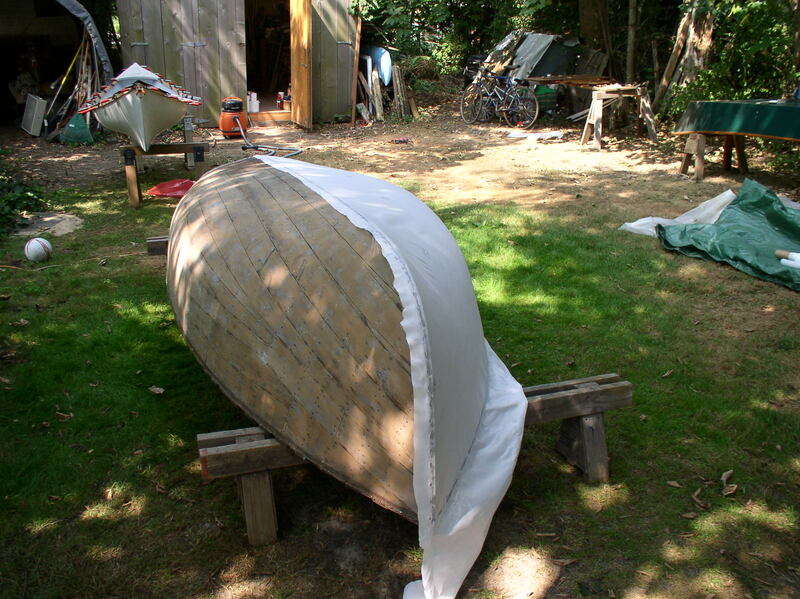 Perle needed new canvas skin on her hull and new varnish on her decks and interior. 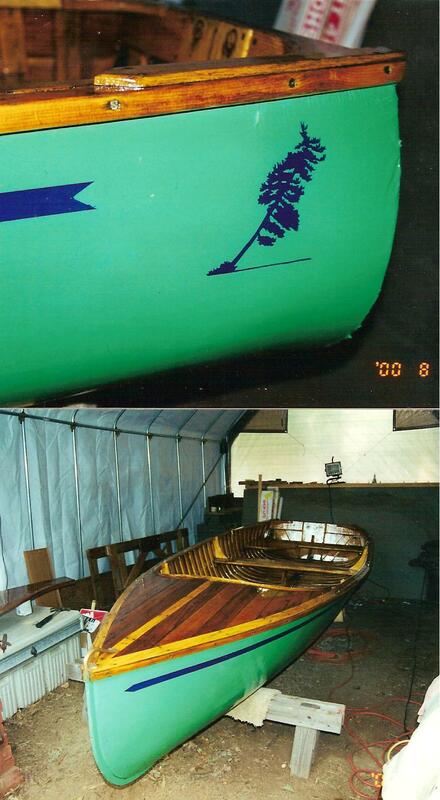 Both Jim and the owner thought that Dacron would be a better skin to put on Perle for its strength and lightness. 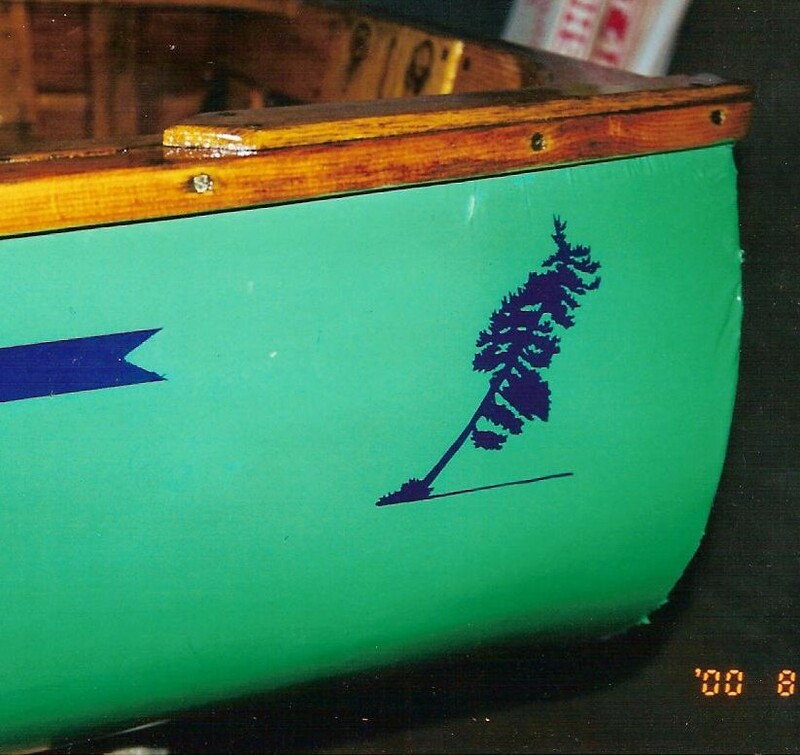 Perle’s hull was painted and a tree that hangs over the lake she will be docked in was painted on as her trademark. 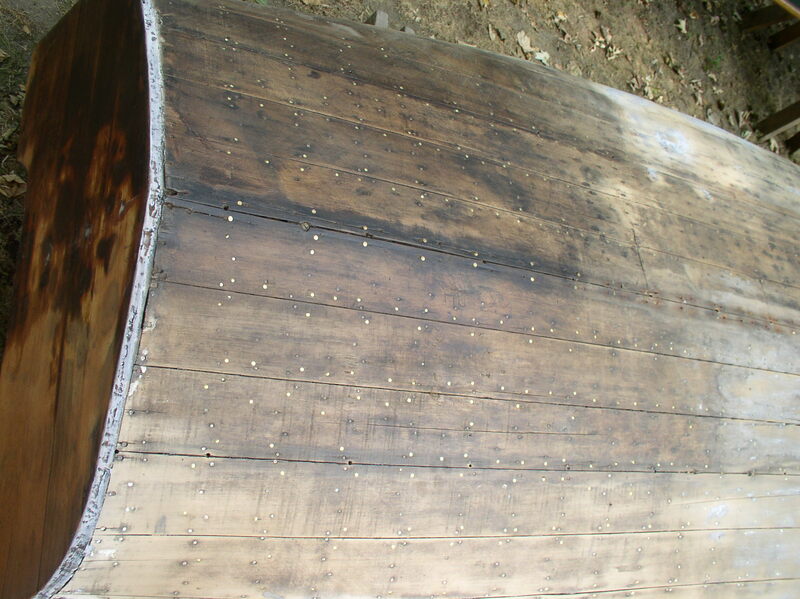 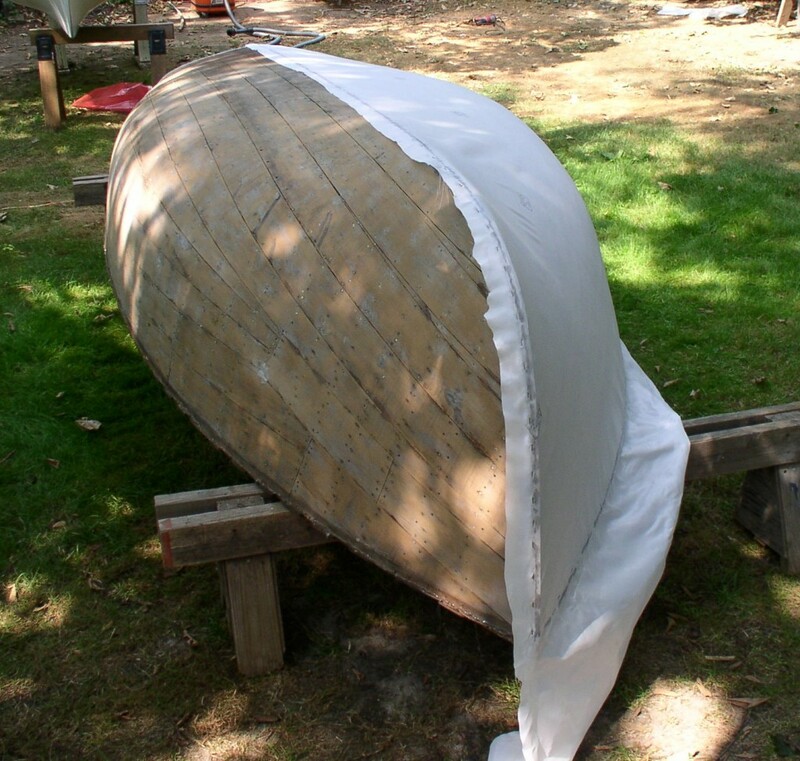 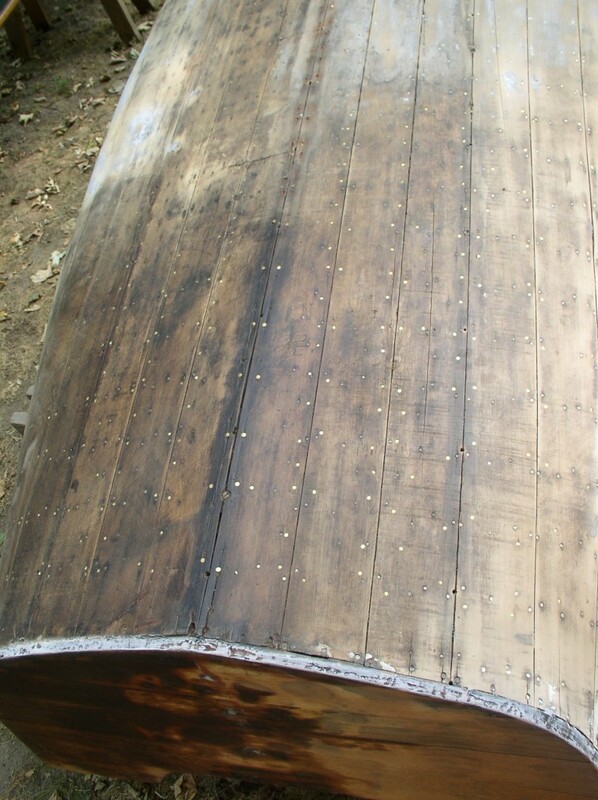 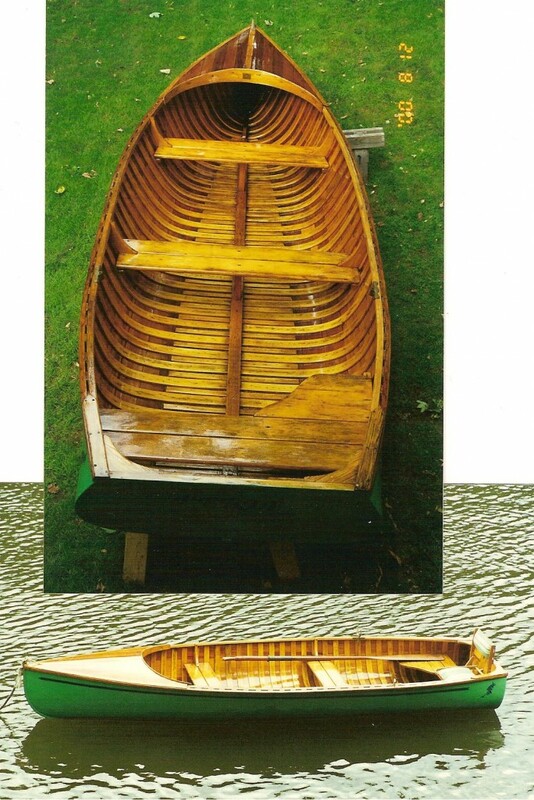 Her decks and interior were sanded and varnished, and finally a seat with a back was installed.